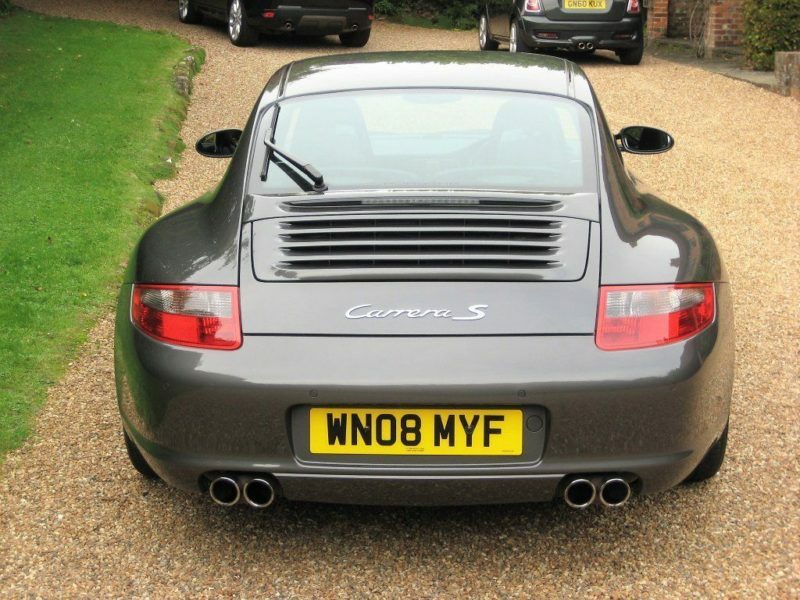 ONLY 24,000 MILES FROM NEW WITH 3 P/OWNERS. 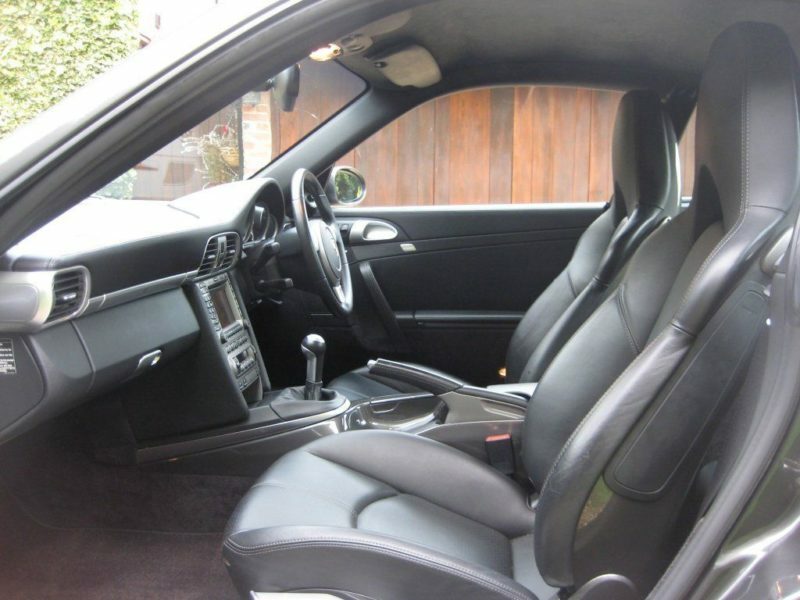 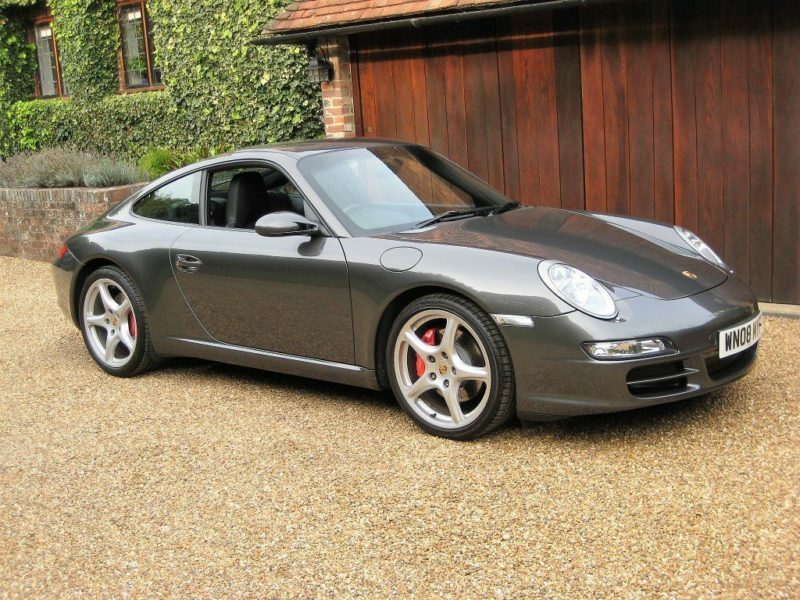 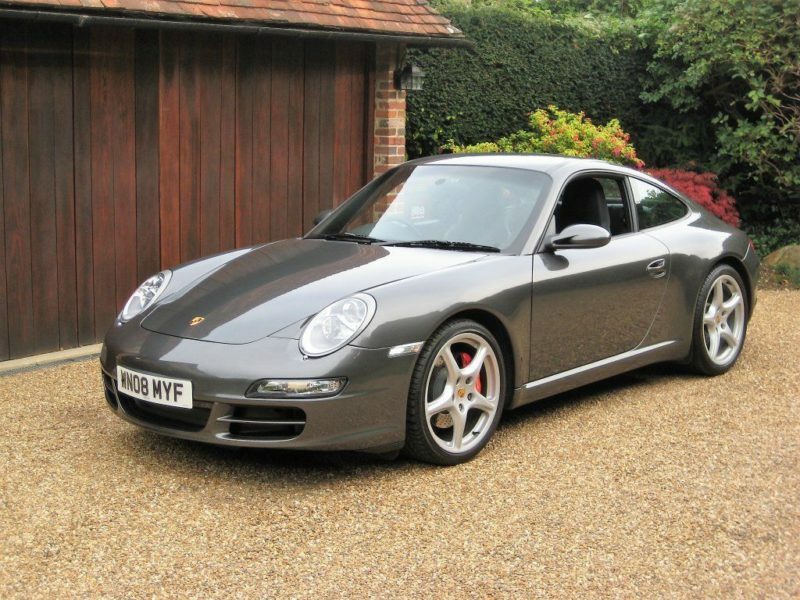 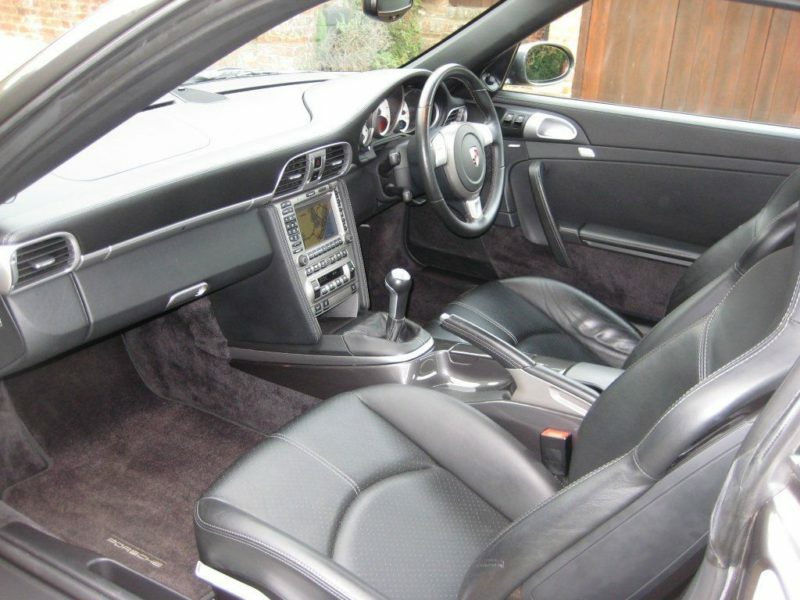 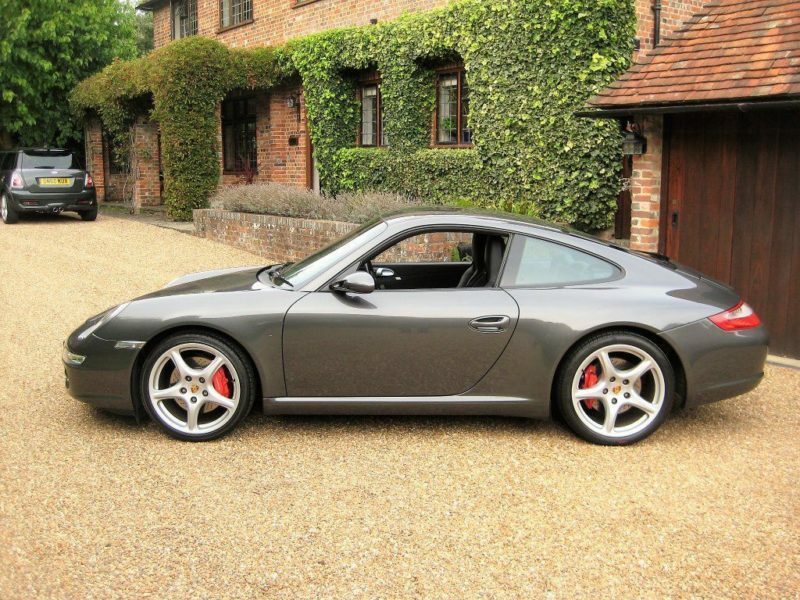 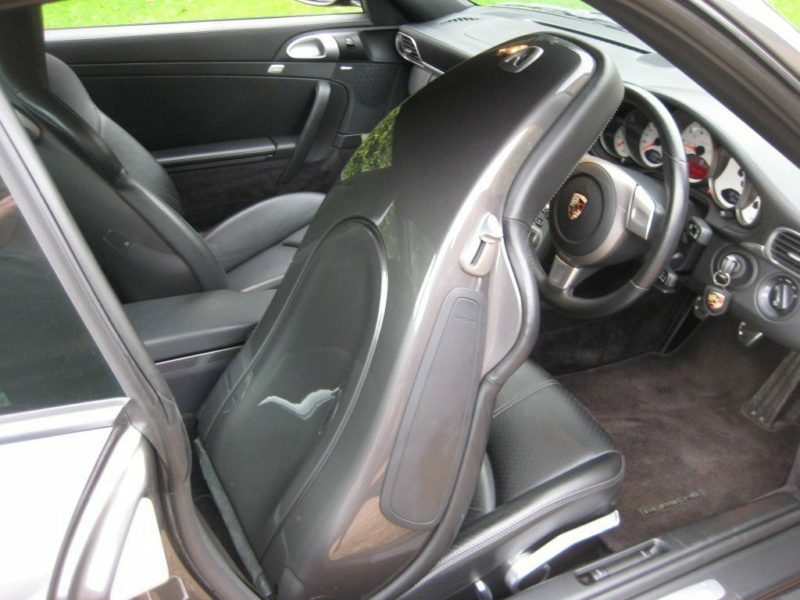 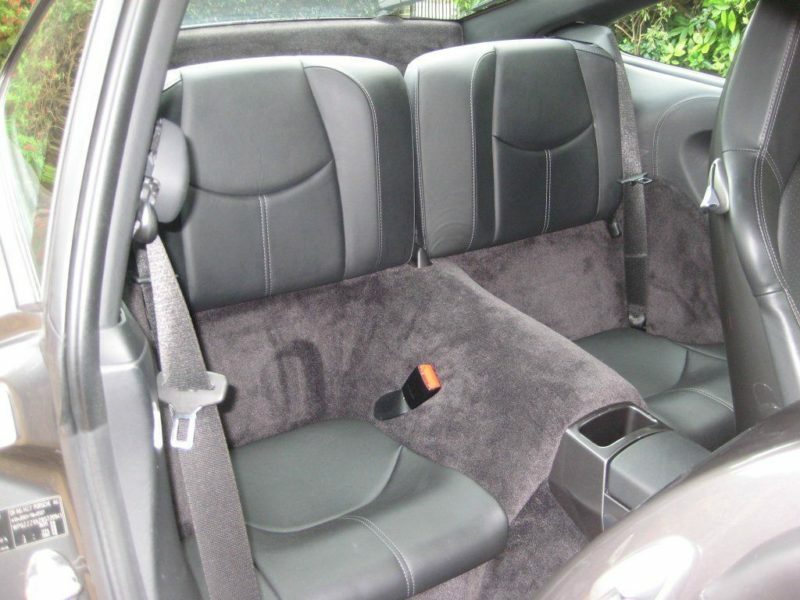 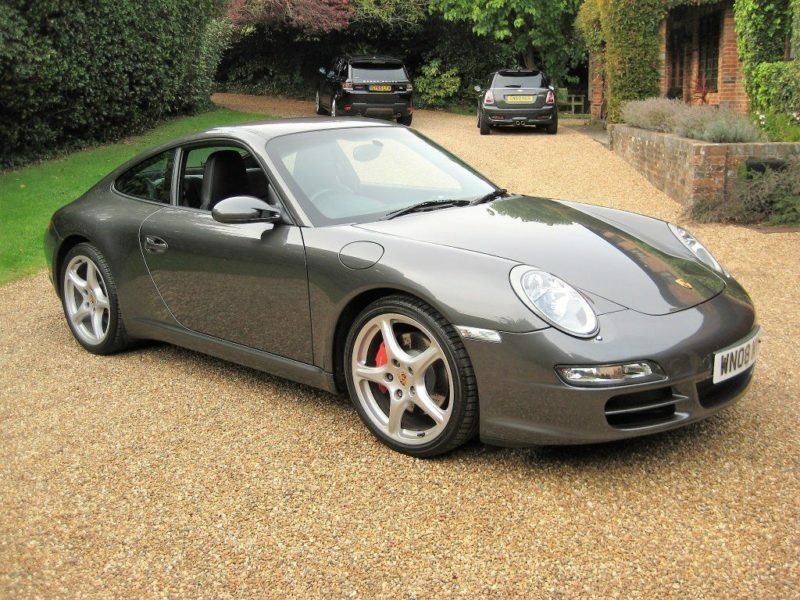 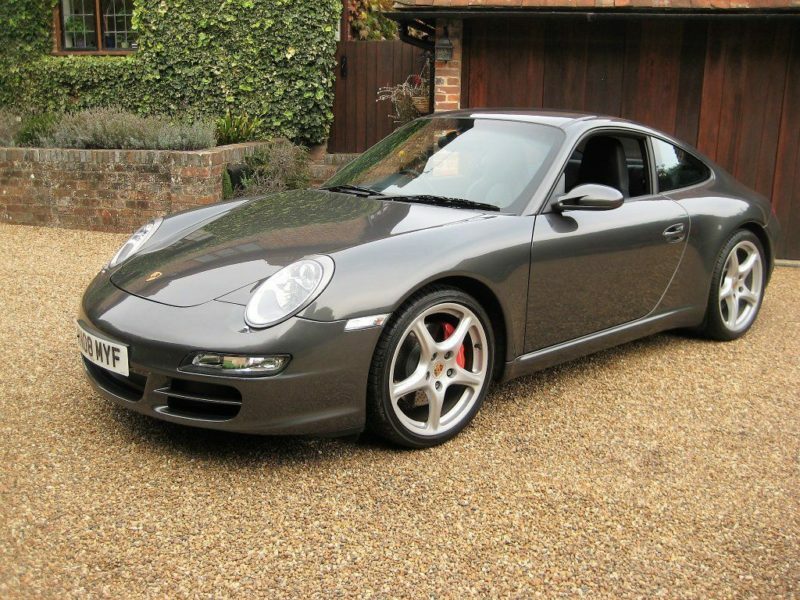 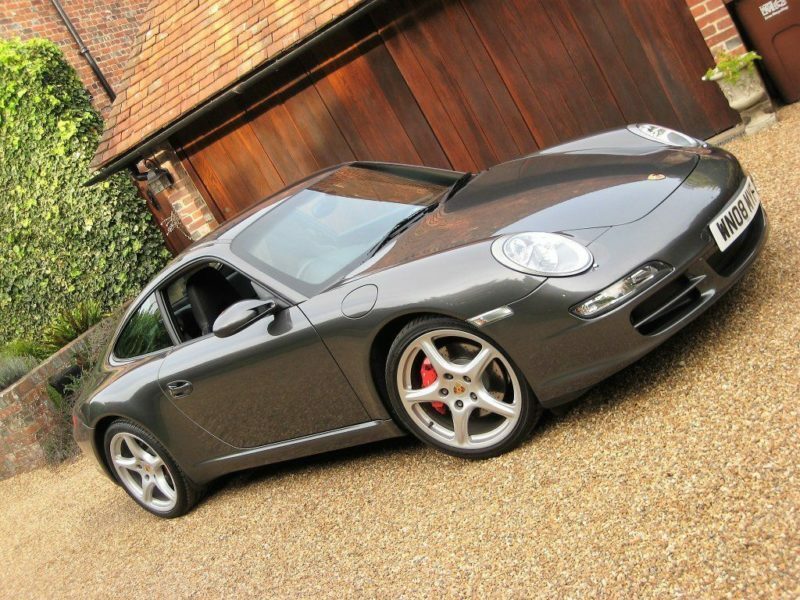 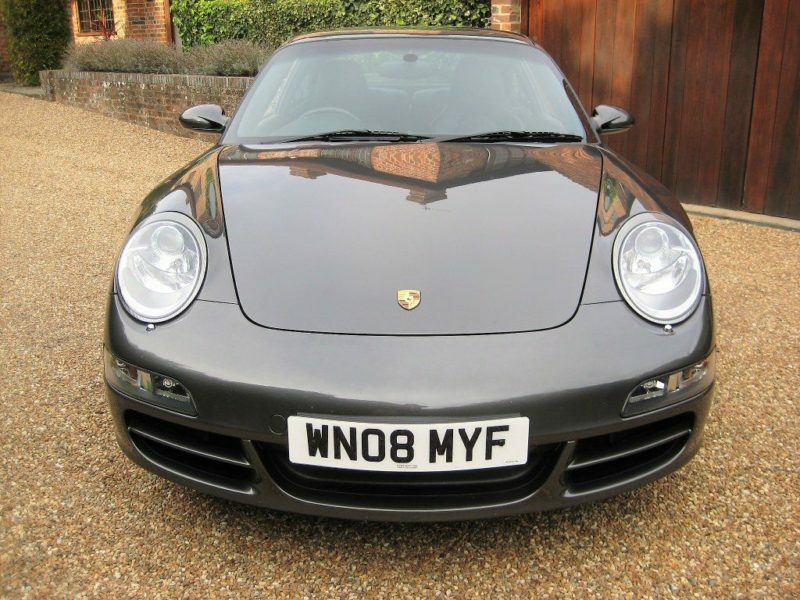 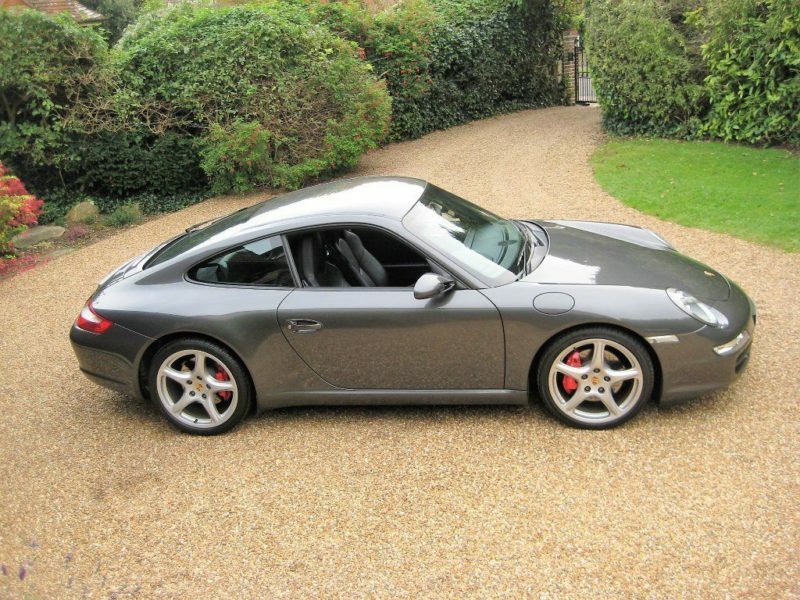 997 3.8 Carrera 2S 6 speed manual finished in special order unmarked slate grey metallic with full black leather. 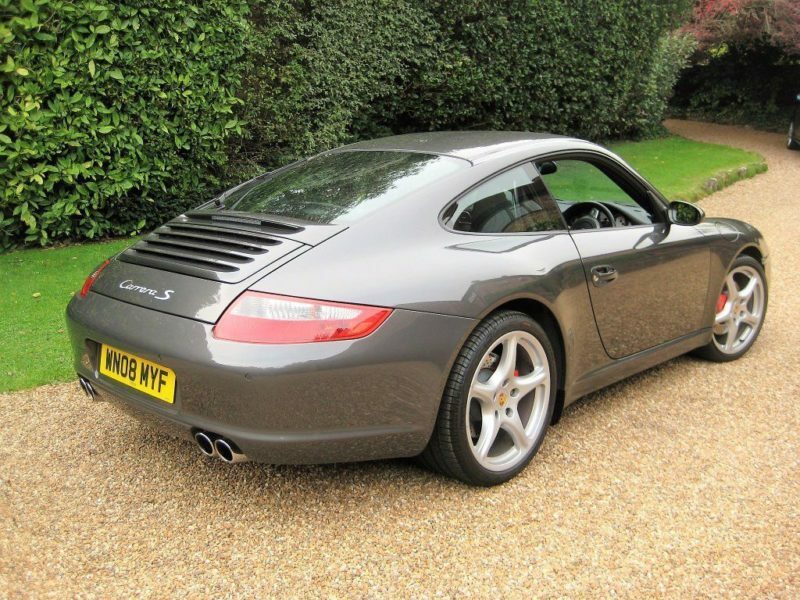 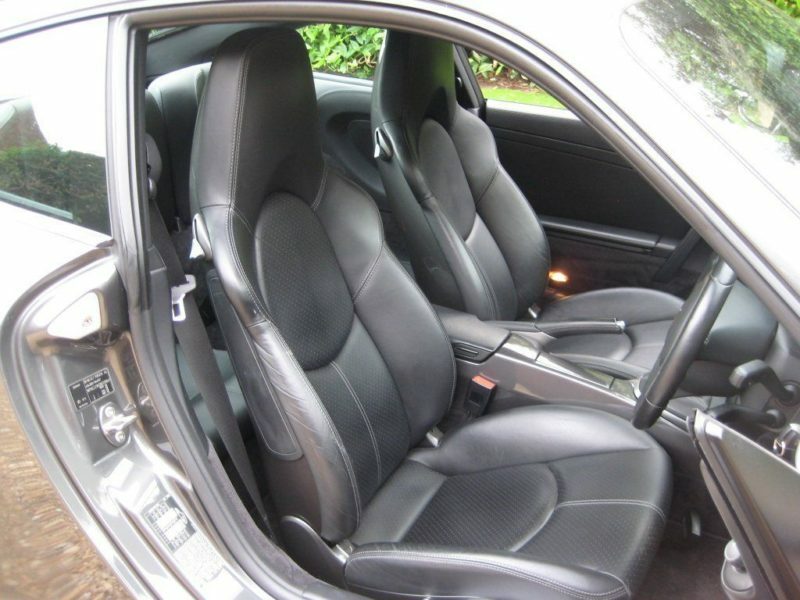 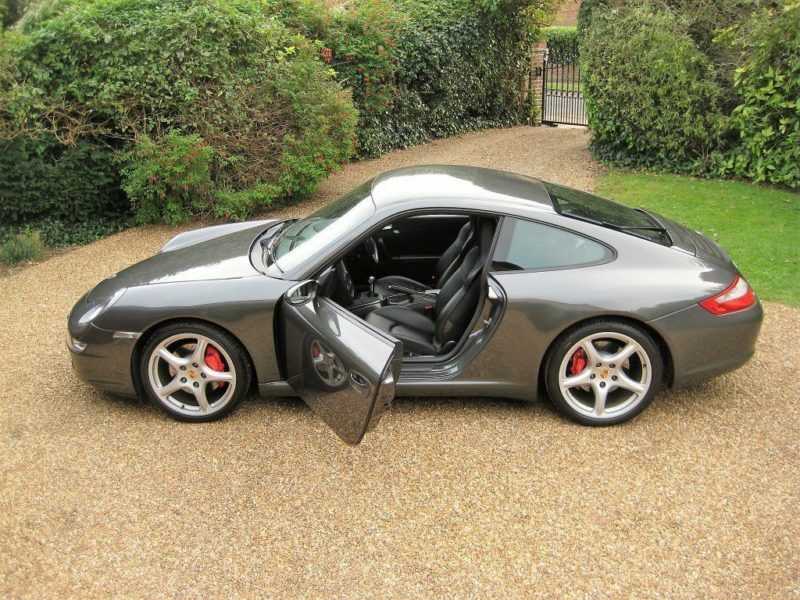 Optional specification includes PCM extended satellite navigation module, telephone module for PCM, BOSE sound system, hardback sports seats with backrest painted in slate grey, heated seats, rear centre console in slate grey, instrument dials in Carrera White, 3-spoke sports steering wheel in smooth leather, cruise control, auto dimming rear view mirror with integrated rain sensor, rear wiper (with aero blade), rear park assist, unmarked 19″ sport design alloys with coloured Porsche crest wheel centres, fitted Porsche carpet mats etc. 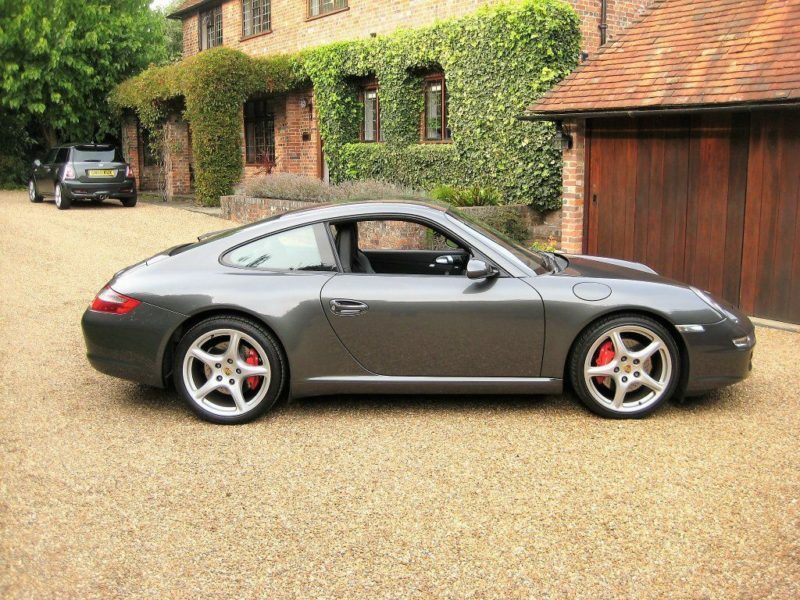 Cost new in excess of £75k with circa £7k of optional extras. 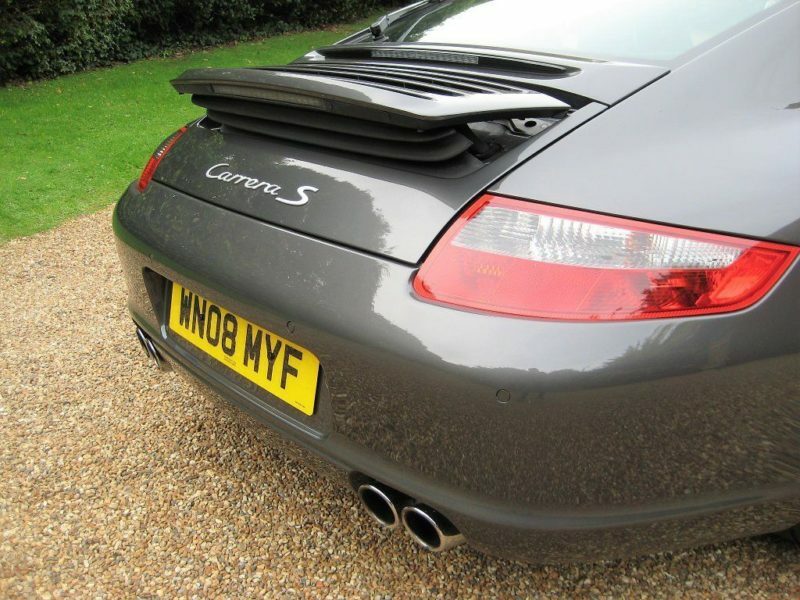 Supplied new by Porsche Centre Swindon with full Porsche service history from new (6 stamps in the book) + just been fully serviced including recent borescope inspection. 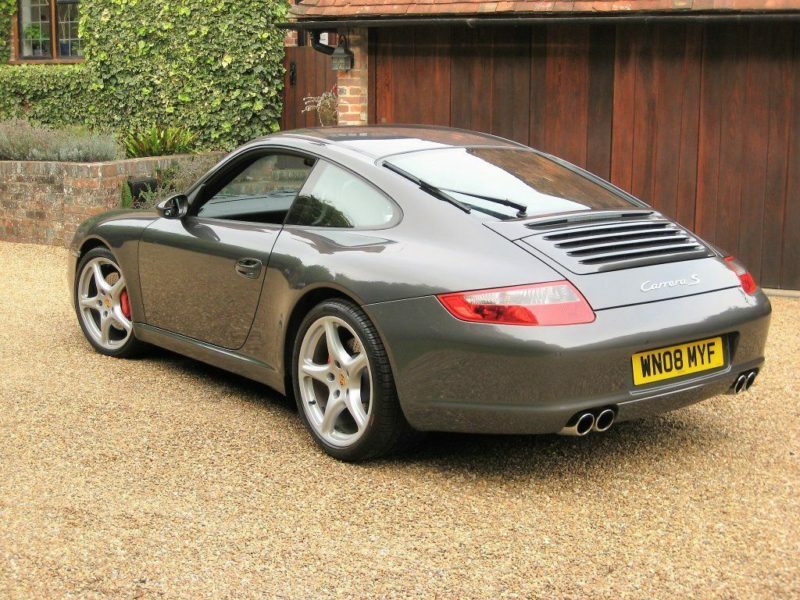 Complete with a documented history file + owners book pack & both remote keys.